A large, Victorian copper mould with a central pipe. 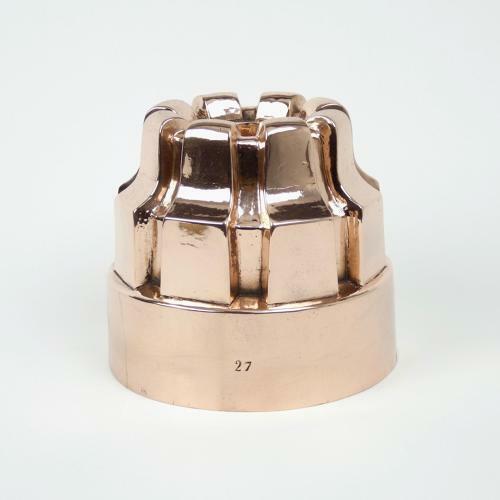 This mould is made from a very heavy gauge of copper and it dates from c.1870. There are no manufacturers marks but it is stamped with a pattern number '27'. The design consists of eight angular columns around a central pipe. This type of mould is good for baking or steaming cakes or puddings as the contents cook from the middle as well as the outside. This is a good quality mould and it is in excellent condition. The tinning, to the interior, is slightly worn.